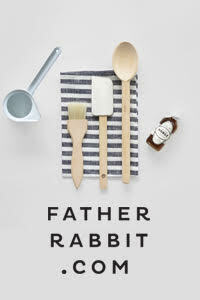 When we built our home six years ago window coverings were way down on the list of to-do's. Aside from installing some simple blockout roller blinds for the bedrooms, the goal was to create a 'light and bright' Nordic look. While it soon became apparent that lack of privacy and too much light were key issues in our open-plan dining area, I decided to leave the windows bare for what I believed to be aesthetic purposes. Earlier this year I was introduced to Luxaflex and everything changed! 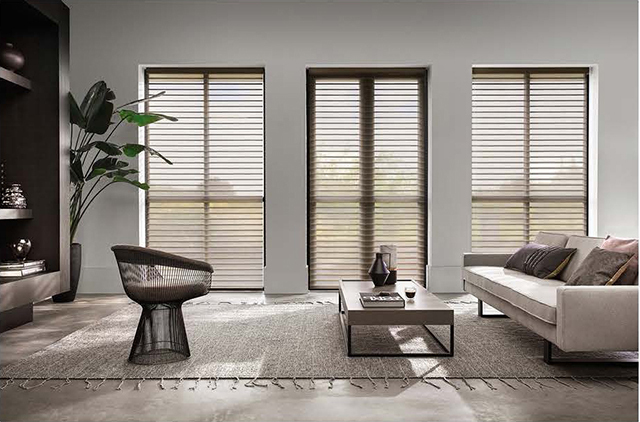 Originating in Europe, the leading window shades brand has been in NZ since the 1950s and offers an extensive range of shades and blinds to compliment every style of home. 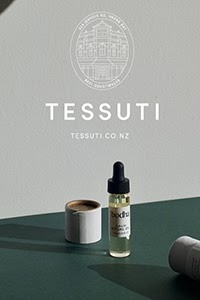 Having recently given our dining area a makeover, this new element was to be the finishing touch. 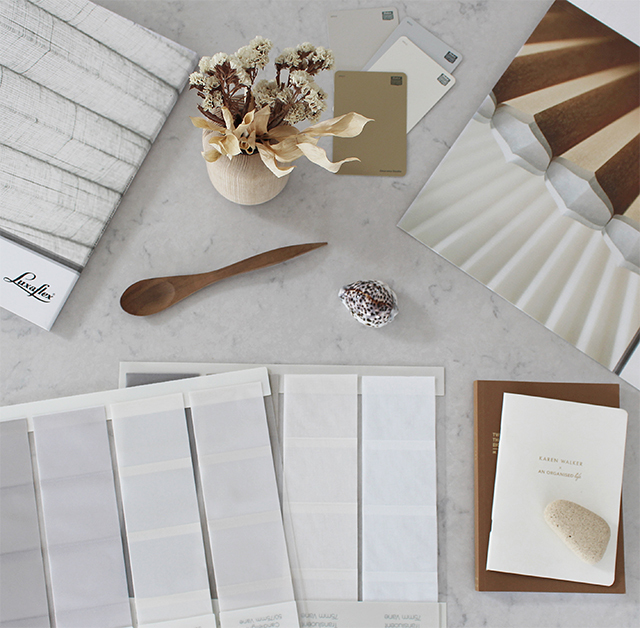 As with any interior project I was excited to get started on the selection process, but being new territory for me, I was also a little overwhelmed! Having one of the Luxaflex team make a home visit to talk us through the options was the first step. As mentioned, we had long ago identified the key issues for the space, the first being lack of privacy. While the outlook from the adjacent sliding doors and windows is private, the view from the windows that run along the dining area is very exposed. The second issue is excessive glare and heat. While the huge Pohutukawa tree provides shade for the adjacent sliding doors, the dining area windows are flooded in sunlight. So much so, that during the summer months we would be unable to eat dinner there due to being so hot and blinded! I also worry about the sun's UV effects on our furniture and having finally upgraded our dining table, I'd like to keep it in good condition. Wanting to find a solution to these issues, in keeping with the clean and elegant style that we love, we were presented with three Luxaflex products. Offering beautiful simplicity and exceptional functionality, the Sunscreens & Rollershades create the perfect backdrop for art and furniture. Although we have the blockouts in our bedrooms, I knew very little about the different options, including the sleek headbox. Used to conceal the roller and mechanism, I love that this provides a clean, seamless look. They are also easy to automate with Qmotion, the Luxaflex wireless technology that allows for completely cordless blinds that can be operated (from the couch) with a smart phone app or remote control. Last but not least, they come in a huge range of Fabrics & Materials. The Silverscreen - a Sunscreen featuring a Silverscreen metal-backed screen fabric sounded like a great idea. Not only does it provide excellent vision out, it dramatically reduces heat and glare at the window, independent of screen colour. 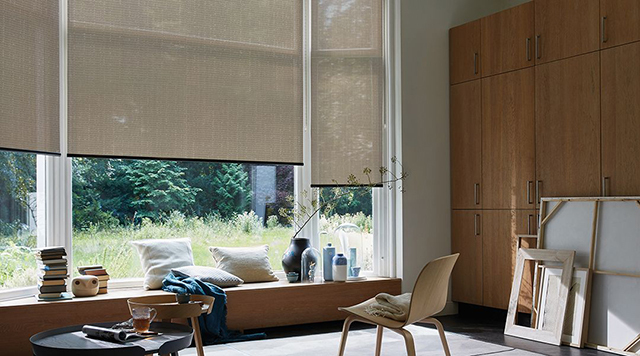 The Luxaflex Duette Shades are the premier brand of ‘honeycomb’ or ‘cellular’ shades. 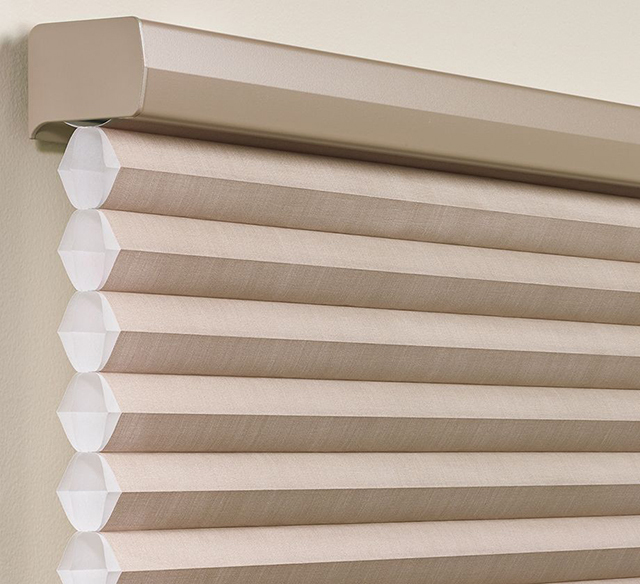 Durable, elegant and versatile, Duette Shades provide the ultimate design with maximum functionality. Luxflex recommended we look at the Duette Architella, a translucent shade that can open two ways - top down or bottom up. Wait, what?! This took a bit to get my head around! Seeing them in action when I visited the showroom (more on that soon), I am still intrigued by the versatility of this functionality. Also automated with the Powerview Battery automation, the beautiful 'honeycomb' design creates an almost Japanese-inspired aesthetic. Representing the ultimate in window covering insulation, this is also the preferred choice for hot and cold environments to stabilise the temperature. The third option presented to us, the Silhouette features two layers of sheer fabric, separated by a series of floating, soft fabric vanes. So pretty! 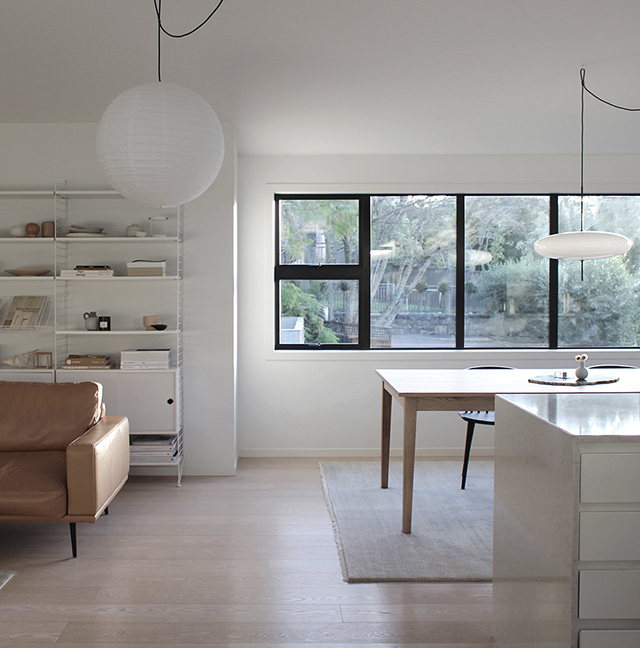 The vanes allow a gentle glow of light into your home when closed and almost disappear when open to gently diffuse light, combining privacy with a softly filtered view. Available in Translucent, Sunscreen or Room Darkening, Luxaflex recommended the Translucent for our space, along with the Powerview Battery automation. 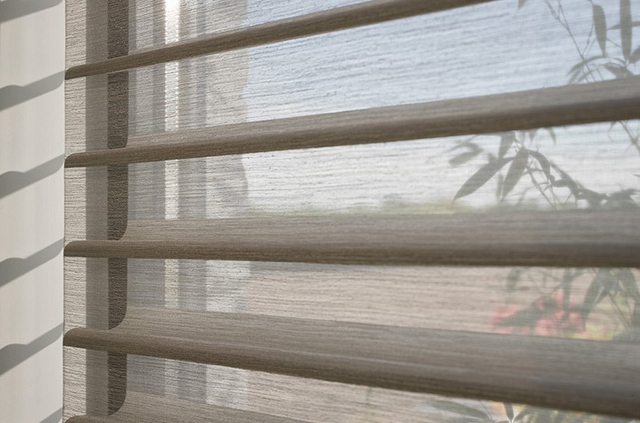 Translucent fabrics gently filter light to provide a warm glow while preserving the outside view and protecting your furnishings from UV fading. The next step was a visit to the Luxaflex showroom to see how the blinds worked when installed. Together with the home visit, this has been an eye-opening process and huge learning curve. I was now looking at blinds in a completely different way. Rather than wanting them to disappear into the background, I was excited that they would be enhancing the look of our space, while making a huge difference to our quality of living. 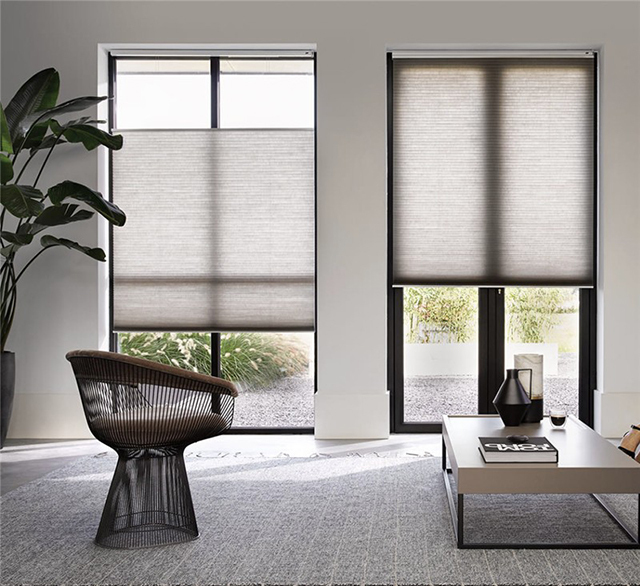 Taking into account the features and aesthetic of each product, we decided that the Duette and Silhouette blinds were the best two contenders for us. The automated option was a no-brainer and the translucent styles were ideal for what we wanted to achieve. Now it was time to choose the fabric! 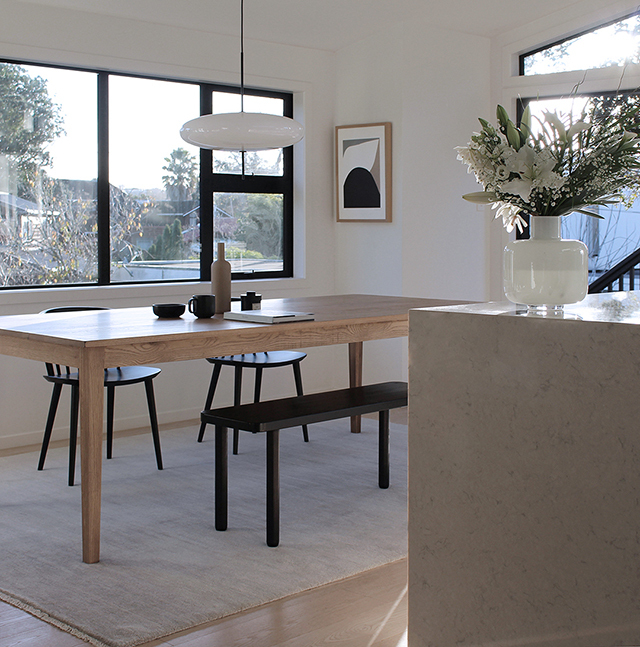 Wanting to stay within the realm of our neutral colour palette, I first considered the surrounding elements including our pale wood flooring, white walls, timber furniture, pale grey rug and black accents (including the steel window frames). 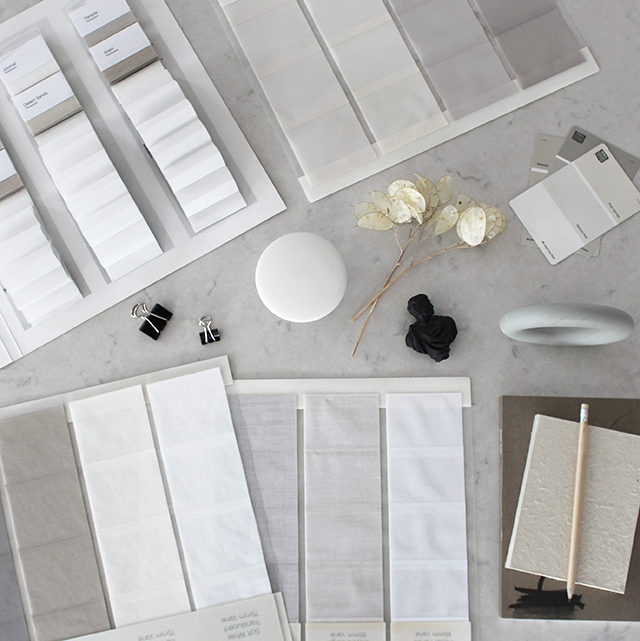 Opting for soft grey and beige tones, there was no shortage of options from the Luxaflex range. With a beautiful selection of samples in hand, I took them home to see how they looked in our space. To get a true a feel for how the colours worked, I held the samples up over the window, to see how the colour changed throughout different times of the day and night. With a final decision made on the blinds and colour, Luxaflex made another home visit to measure up our windows. Custom-made to order, once ready the blinds would then be installed, ready for us to enjoy! Stay tuned for the Part Two of the Luxaflex series where I reveal what blinds we chose along with a look at our new space.